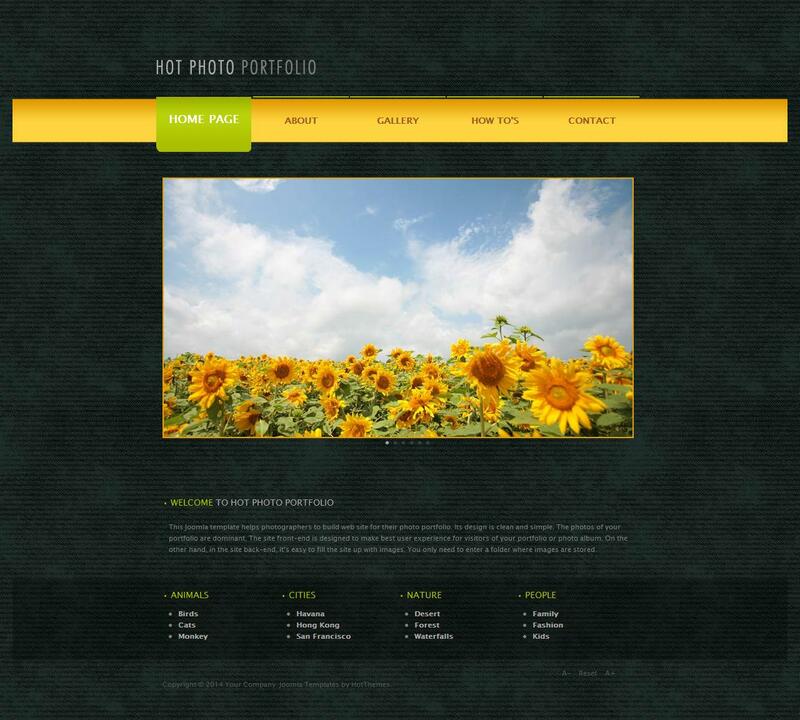 HOT Photo Portfolio - decent template developers HotJoomla, which is perfect for creating websites portfolio combined with additional extensions HOT Effect Rotator, HOT Joomla Carousel, HOT Joomla Gallery and HOT Photo Gallery. This pattern represented 6 preset styles with extra color settings through the administrative part of the site. Thanks to high-quality layout template has a high speed of loading pages, has a folding modular design and allows to edit all visible elements of design layout.